Huge Savings Item! 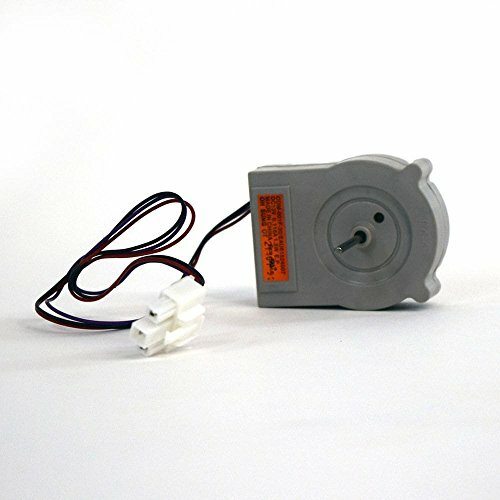 Save 16% on the Kenmore Elite EAU61524007 Refrigerator Evaporator Fan Motor Genuine Original Equipment Manufacturer (OEM) Part for Kenmore Elite, Lg, Kenmore by Kenmore Elite at akankshacoolingpoint.com. MPN: EAU61524007. Hurry! Limited time offer. Offer valid only while supplies last. Genuine Original Equipment Manufacturer (OEM) parts! This manufacturer-approved evaporator fan motor (part number EAU61524007) is for refrigerators. Genuine Original Equipment Manufacturer (OEM) parts! This manufacturer-approved evaporator fan motor (part number EAU61524007) is for refrigerators. Evaporator fan motor EAU61524007 circulates air through the fresh food compartment for efficient cooling. Safely store any food that could deteriorate while the power is off and unplug the refrigerator before replacing this part. Wear work gloves to protect your hands. For Kenmore Elite, Lg, & Kenmore.